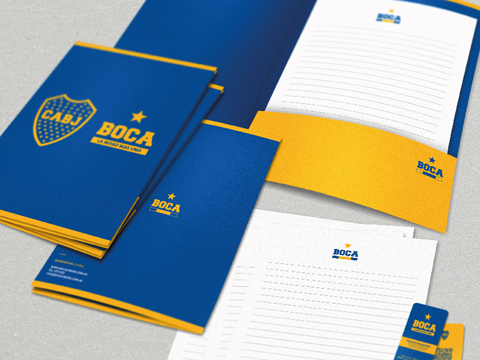 On Thursday April 26, Boca Juniors introduced its new global identity, which was developed by BridgerConway creative team under the supervision of the club Marketing Area. At an event carried out at the recently opened Boca Hotel in Buenos Aires, Boca Juniors Athletic Club presented its new identity globally. The new visual package of its updated corporate image includes a new logotype, it has its slogan “Half plus one”, and will have an aesthetic connection with each sport played by the club, with its application on the several platforms that represent the club worldwide: its 24 schools around the world, its corporate stationery, clothing, merchandising and the club points of sale. The aesthetic development and implementation of this project was led by the creative team of BridgerConway, who has been a leader in Integral Branding for 20 years. 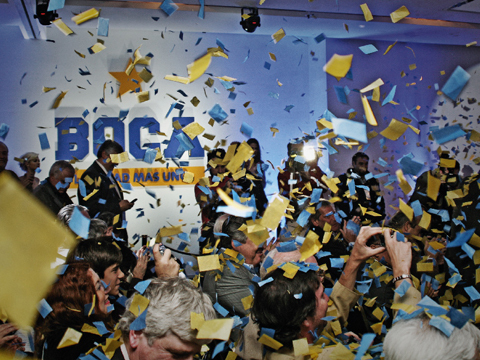 “Boca is without question an emotional brand –Marcelo Bridger, the agency founding partner, pointed out. “For the fans, Boca is not ‘Boca Juniors Athletic Club’, it’s just Boca. And it’s a feeling. For this reason, when we faced the challenge of redesigning its global identity, we looked for the way to make an impact on the fan passion with a powerful logo and a new slogan that appeals to “half plus one” (more than 50% of the Argentine fans). We added the yellow star as an emblem that fans feel they own and carry with pride”.